There is a reason why some things happen. We might not be able to explain what goes on beyond this galaxy and might not have the brains to understand complicated equations, but not all math is difficult. A four year old can say how much is 2 + 2 (children today!) That's how easy you can calculate garage door problems. At least in most cases, when you don't see a problem coming, it's because you choose not to see. 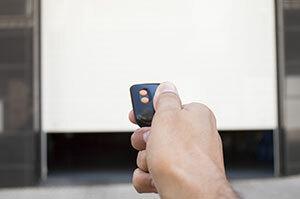 Garage Door Repair Rosemead would tell you that no problem pops out of nowhere. Springs don't plan to snap on Monday at three sharp. They break because they weren't replaced on time, weren't installed or maintained properly, or the wrong ones are used for the specific door. Garage door parts send out signals warning owners that they will start misbehaving in a little while. Don't miss them! The only times they misbehave without warnings is when something abrupt and irregular happens. Let us explain. Parts and the whole system follow a routine just like you. What if someone suddenly gets you out of your routine! Wouldn't you react? The same thing happens with components. A sudden storm when the door is still open, the installation of an extremely heavy door without changing parts, DIY repairs will all shake parts. They will suddenly have to work in a completely different environment and it won't be easy for all parts. The weaker ones will break. What's the solution? Simple: don't surprise them. If you want to make changes, consider if parts agree with them. Not all garage door springs and tracks are good for all doors, for example! Still, problems are not easily avoidable. We are not saints or infallible. We do make wrong decisions, miscalculate things and fail to think of everything. No, we don't deserve execution! We just have to take measures even if it's too late and damage has already been done. (A little secret here: it's never too late when it comes to garage systems). You might have already hit your garage door tracks with the car. Damage is done and you can't take it back, but what you can do is to fix the dent now. Not tomorrow and not next week. By then it might be too late since the door will probably jam and won't be able to close down. Who objects to the notion that prevention is the best cure (for those wanting some encyclopedic knowledge, Desiderius Erasmus said it). It's one thing hitting the track accidentally and it's quite another thing dealing with a broken garage door spring just because you didn't replace it when you were supposed to. Inspecting the system regularly and maintaining it annually will give you the chance to prevent 90% of problems. The rest is related to your driving skills!